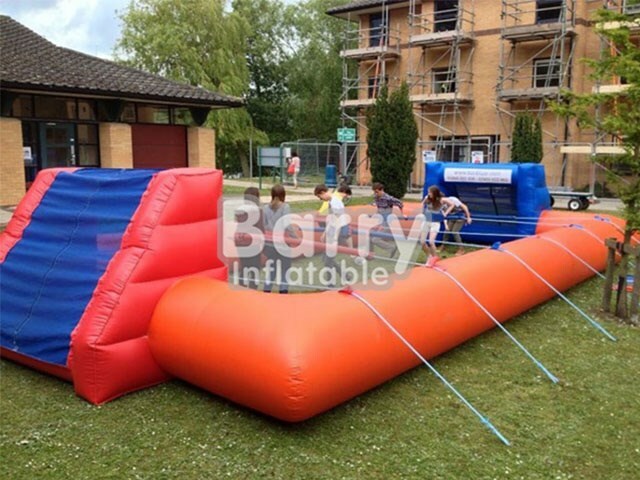 Inflatable Sports - human foosball court - Commercial Inflatable Soccer Human Foosball,Inflatable Human Foosball Field BY-IS-004 - Guangzhou Barry Industrial Co., Ltd. This item is suitable for adults and children! 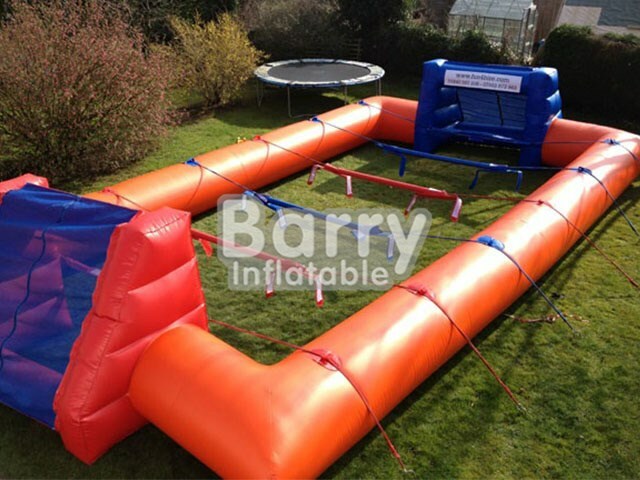 This is a life-size version of the table top football game and can be used by upto 10 players! The players are attached to the ropes together by harnesses( meaning if one moves left everyone in that row moves!) very funny and great for team building - you need good communication for this game! Great fun for players and the spectators alike. * Simple structure in linear type ,easy in installation and maintation. You can choose to play the game competitively complete with red and yellow cards or for a bit of light hearted fun, either way the game is great and will leave guests at your event thoroughly entertained. Players on the life-size foosball "table" must hold tight to sliding sheaths covering flexible rods so, as with non-human foosball, they're restricted predominantly to lateral movement during play..
1.The railing is very strong on the product. Q2:What kind of payment do you accept? Q3:How long is your delivery time ? Q4:Are you a manufacturer or a trading company? Q5:Does your company pass any certificates? Q6: Do you offer some accessories? 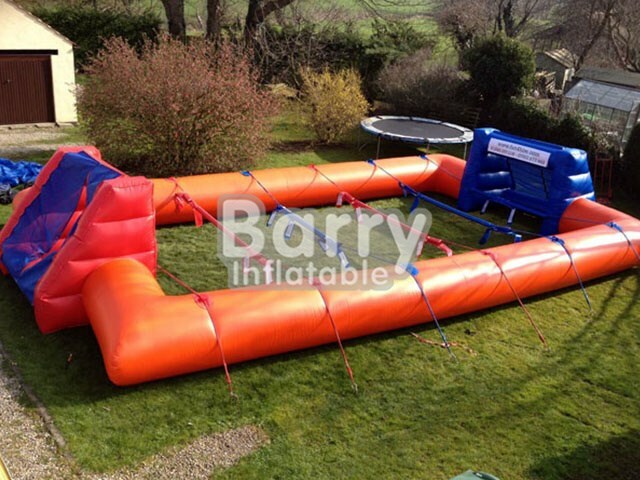 Q7:Can I check the inflatable before delivery? Q8: How about the warranty?